Padhma Creations not only helps these women but saves their families from a life of spiraling poverty. Padhma Creations partners with nearly 70 women from neighboring villages of Nepalgunj, Bardiya, and Surkhet in Nepal. 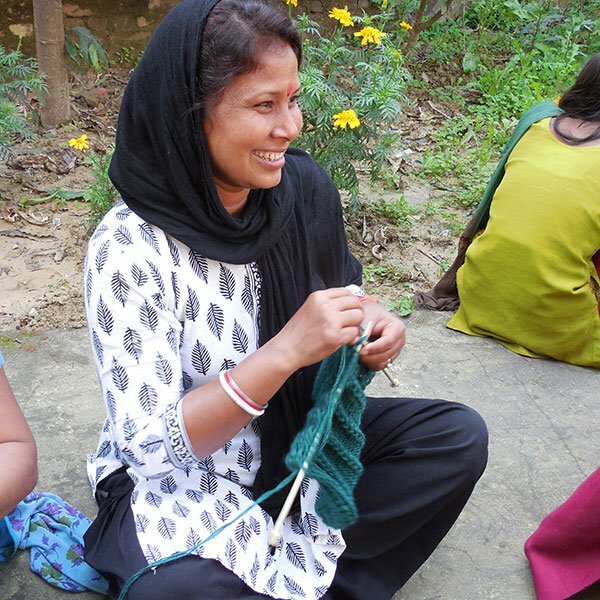 Wool is divided among their families who then make berets, scarves, socks, and other items in their homes or in shelters for women without homes.